The perfect addition to make your crab dishes extra special. 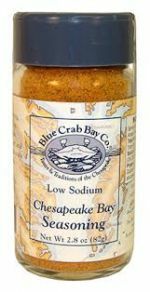 Blue Crab Bay Company's special blend of seasonings to make crab dip that can also be used in Crab Cakes and other crab recipes. .95 oz. jar. All Natural.